The study of multidimensional networks has become an active field of research in the last few years. One of the most fundamental tasks is community detection where the aim is to find subsets of densely connected or highly interactive nodes. 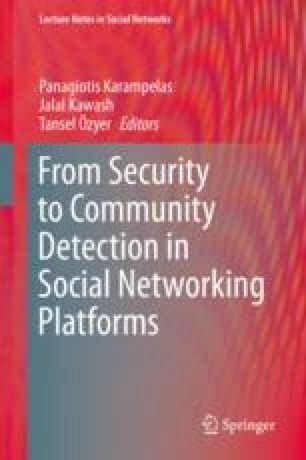 Community detection in multidimensional networks has particularly gained a lot of attention and a number of approaches have been proposed. Still, several aspects remain to be addressed in the current literature. In fact, besides being parameter-laden, the majority of the proposed approaches thus far lack an outlier detection mechanism and systematic procedures for explicit selection of the dimensions associated with the detected communities. To cope with these limitations, we introduce a novel principled approach named MCDA: multidimensional community detection algorithm. The proposed approach comprises two phases: (1) handling outliers and (2) mining multidimensional communities. The first phase of the algorithm is based on a probabilistic approach that exploits the beta mixture model to identify and eliminate outlier nodes from a network in a systematic way. The second phase adopts a local search mechanism which is inspired from the label propagation principle to detect communities. To this end, we design a novel propagation rule that exploits the most frequently used interaction dimensions among neighbors as an additional constraint for membership selections. The new propagation rule allows MCDA to automatically unfold the hidden communities in a multidimensional context. The detected communities are further processed for selection of relevant dimensions using an inter-class inertia-based procedure. This work is supported by research grants from the Natural Sciences and Engineering Research Council of Canada (NSERC).